Do you know what it takes to be a yoga instructor? Here are a few things you should know as you start your Yoga teacher training in India! Taking up Yoga as a profession actually makes sense. The demand for Yoga instructors is increasing rapidly. As reported recently, the Yoga industry lacks nearly 300,000 yoga instructors. Not only yoga classes, but also that yoga accessories have a huge business too. With some nice yoga teacher training in India, you can unfurl the business a long way. Why Yoga Teacher Training in India Is Profitable? Yoga is undoubtedly the new fitness mantra among the modern generation. Although it’s an age-old practice, the economic and physical viability of yoga is pathbreaking. There are many reasons that make it the go-to option for the working class. There are about 125 million job-goers people in America alone. Yoga focuses on fitness through the mind. For the working class economy that constantly faces stress at home and office, yoga is a respite. The practitioners are able to de-stress by doing yoga. They also achieve a higher level of fitness. There is a significant deal of stretching, breathing and overall body movement involved. All of this helps improve body’s immunity. Given that a great deal of America lives on prescription medication. The fact that yoga isn’t as straightforward as hitting the gym, it’s still easy. The gym and other forms such as kick-boxing, athletics, and cardio etc, involve heavy physical burnout. Something, that most people want to avoid. On the flipside, yoga needs you to sit down, breathe easy, and stretch. The yoga asanas can feel difficult for some time but yoga turns out to be the more favorable option. Therefore, it is better suited to the job-goers. The yoga teacher training in India is imparted in a rather simplistic way. You’ll come to know how simple the process is when you visit India. Yoga doesn’t need articulate equipment as you can find in a gym. At most, stretchable clothes, a yoga mat, and a calm room are all the things you need. Suitable for people who are bootstrapped of time and hefty gym memberships. The above-mentioned points clearly make Yoga as the more favorable option. The same can be seen in the demand for Yoga instructors around the world. More people switching to Yoga will enhance the need for more yoga studios need to open up. And the more yoga instructors would be required. You can prepare for the surge in advance and make use of the opportunity wisely. Now, you might be wondering – how to really become a Yoga instructor? So, we have jotted down three paths for doing the same. You can learn Yoga by yourself. Thanks to a large repository of Yoga ebooks, video tutorials, teaching sessions, and articles online. It is possible to self-educate yourself to become a yoga instructor. We’re living in an age where access to information is easier than ever. With the help of online training sessions and gathering relevant knowledge. You can pretty much attain the skills for an instructor. India is the hub of international yoga activity right now. It has hundreds of places, from where you can learn yoga. By taking up a certificate Yoga training course in India; you can boost up your career much quickly. There are 200 to 500-hour programs available in India that will teach you everything. The professional credentials go a long way in establishing your credibility. You can work as one with a popular brand. Or you can also initiate your own yoga studio at any given time. The third best option is to train under a pronounced yoga expert. You learn by practicing yoga for several years until you master the art truthfully. Thousands of people fly to India to train under gurus and alter their lives completely with Yoga. The practice has brought out practical results for many. Therefore, it may also bring a life-changing experience to you. Yoga teacher training in India is one of the most profound ways to advance your career as a yoga instructor. Yoga adoption rate among several developed nations is skyrocketing. This tells us that becoming a yoga instructor is nothing short of lucrative. Given the health benefits, the demand for yoga is only going to rise in the future. The prospects for a well-trained yoga instructor are endless. There’s no looking behind if you think you can devote your life to yoga. Hence, start your yoga journey today. This article provides a brief overview. You can checkout out other articles on yoga. In order to gain a better understanding of the process. We cover various topics on Yoga online from time-to-time. Wondering what the best yoga teacher training in India will teach you? Here are the 8 major concepts related to yoga that you must know about! In its essence yoga is not only a way to exercise but a technique to evolve your mind. This evolution comes by learning the deeper concepts associated with yoga. All of this will be a part of your training curriculum when you come to India for the same. But if you are unsure of what the training holds in reserve for you, you can refer to this article. In India, yoga has become a way of life and you must have heard about Sadguru, the famous yoga preacher who is bringing clarity to the world about yoga. Let’s learn about the 12 major concepts that you’ll uncover in the best yoga teacher training in India. The first concept is the word Yoga itself. Yoga etymologically means “union”. It comes from the Sanskrit word, “Yuj”. The practice revolves around the philosophy that human beings can unite with their higher sense using yoga. This higher sense allows them to gain better control over their actions and psychology. Yoga lays down certain ways of meditation, stretching and breath control that helps your body to achieve eternal peace. Dharma basically translates to “religion” in the Hindi language. The concept usually associates with the best yoga teacher training in India in the sense that a certain working principle is required in life to obtain enlightenment. Without structuring your pathway while practicing yoga; you may end up in chaos. Hence, Dharma is the combination of laws and orders that help yoga devotees to practice it appropriately. Dharma here doesn’t refer to any other religion in India. Buddhi means intelligence in Sanskrit. Yoga is a lot about enhancing the natural ability of the brain and intelligence is one aspect. There are several definitions of intelligence in Yoga and Buddhi is just one of them. You’ll be taught to control the power of intelligence and use it to efficiently. Yoga employs special techniques to control the flow of intelligence. It is the fundamental building block of the human mind. Vasana is a group of memory or the worldly instances that your mind bundles together for the purpose of remembering. Such groups of memory usually exist in the subconscious or unconscious levels of your mind. They may or may not affect your being. It’s an unavoidable aspect of the best yoga teacher training in India. Through yoga you are taught to gain control over these groups of memories and articulate them for usage in daily life. There may be memories associated with joy and happiness. These can be activated voluntarily inside your mind so that they help you stay happier in life. You must have seen people performing various stances and actions when they practice yoga. These actions and stances refer to Kriya in yoga which is the rightful technique to do the same. The body postures, the movement of body parts and various breathing patterns prescribed in yoga refer to Kriya. Understanding all these kriya actions will help you become a better instructor. It’s one of the practical aspects of doing yoga included in your best yoga teacher training in India. This concept describes the very nature of your spirit. Each spirit has its own peculiar qualities that make it unique therefore Swadharma refers to the natural qualities contained in each spirit. You can compare this to individuality. As each individual is unique in itself, each soul has something that it endears the most. Yoga aids in aligning the swadharma with healthy deeds so that you can harness the power of the individuality. You may be naturally skilled at athletics, therefore, with yoga, you can raise the level of your athleticism and perform better in real life. Vairagya translates to detachment. It is a concept that teaches an individual to give up material pleasures and pains altogether. It helps in obtaining an indiscriminate focus in meditation. When you work on your mind through the practice of yoga. You have to distance yourself from the preoccupations of your mind. Vairagya teaches you to do so. The use of Vairagya is critical in achieving the supreme level of meditation where you can explore the boundaries of your mind. It may sound new to people coming for the first time for the best yoga teacher training in India. This word roughly talks about the spiritual conscience that helps you decipher good and evil, equal and discriminate, ephemeral and permanent, and the like. Understanding the Viveka gives you the balance you need to create in life. Everything that we come across comes with the foresight of good and bad. Sometimes, the inability to differentiate the both can lead to a spiritual imbalance in life. Yoga teacher training helps in resolving by strengthening the Viveka. By now you would have gained a never-before-seen insight into the concepts of yoga. For most people, this would help them strengthen their resolve to fly down to India to learn the art. If this is the case you should consider doing so at the earliest. For the rest of us, this has been an enlightening read as we explore the divine concepts of our life through yoga. Are you planning a yoga retreat in India? Congratulations! You’re up for a soul-nourishing experience that you won’t be able to forget any time soon! But before you get to the fun part, there a few things that you need to keep in mind. Practicing yoga or even traveling to India is pretty different from going anywhere else in the world. The weather, the ethnicities and the lifestyle are quite different. Especially when it comes to doing yoga. Yoga in India follows a spiritual code which usually requires you to act and dress a certain way. In this blog post, we’d like to familiarize with the things you are going to encounter in advance. This will not only help you stay comfortable during the trip but also take in the whole experience to the very best! The first thing that hits you in India is the food. The presence of Indian spices, ingredients, and dough is not anything you’d come across in other parts of the world. Therefore, you have to prepare to withstand it. Most of it will disturb your gut and digestive system. You’ll have to treat yourself with some yogurt and probiotics in order to get used to that. Not doing so can lead to a lot of stomach illnesses that can ruin your Yoga experience. Like everything else, yoga too has a right time. If you’re planning your yoga retreat in India around the summer season which usually lasts from March to September, the weather will be comfortable. Summers in India are hotter but you won’t want to visit a hill station, where yoga sessions are usually conducted in the winters. It will ruin the whole fun. Also, there is Satsang gathering that you can try out for which you need to plan accordingly. A few if not all yoga essentials might not meet your expectations. Hence, it would be wise to pack your yoga mat, costume and medicines with you. It is advisable because these things are shared by multiple guests at yoga centers and could bear allergic infestations. It won’t be wise to catch hold of any. You’ll also rejoice with your decision of packing your own medicine in case you’re heading to a center situated in a remote location. The thing with India is that different yoga centers will bring you different challenges. If you choose a yoga center built in a temple in a far-off location from a city, you might not enjoy the lack of amenities over there. On the contrary, if your yoga center is right in the middle of the city with a hundred things to offer, you might have a problem with all the rush of the city. Therefore, you have to choose your yoga center wisely. Keep in mind the perils and opportunities brought by every location before crashing down at the place. Lastly, you must take care of the cash very well. Sure, you can survive the whole yoga retreat in India on your credit card but not all places accept that as of yet. Inside a city, a card shouldn’t be a problem, but on the outskirts keeping cash handy is inevitable. Hence, withdraw plenty of cash when you arrive at the airport and rely on it. Due to the heavy inflow of tourists, the yoga centers have turned into business spots. This means that a beautiful looking yoga center with modern facilities might be attracting guests for making money with any real focus on yoga. You won’t want to come to India from half the world across for that. So, you must check online reviews, and yoga websites before choosing a certain yoga center. Make sure you don’t get overcharged as well. You might visit India with expectations of a divine experience because that’s what most yoga retreats try to sell. That is not the necessary truth. For outsiders, India can be challenging, exotic and vibrant at the same time. Sometimes, you won’t get the exact experience you were searching for but you will get something worth remembering anyway. So, keep the horizon of expectations open while choosing to go for a yoga retreat in India. Plan your yoga vacation to India well and prepare for the extravaganza that Idia offers in advance. It’s always better to know what lies ahead whenever you can rather than repenting later. India is not your average destination, it will give you a lot to remember. Choosing the right place, time and travel accessories can help you make the experience worthwhile. At last, we can say that respecting the ethnicities and stereotypes of the place you’re headed to will keep you in the front row. Yoga is no more only a spiritual exercise, it is a now well-faring career option. You can pretty much make Yoga your career with professional Yoga teacher training in India. It is widely practiced around the globe and offers a great mind-body balance. India is the birthplace of “Yog”, which later came to be known as “Yoga”. Due to the regional influences and a number of Yoga schools in India, the country is one of the most preferable places to learn Yoga. There are plenty of reasons that can motivate someone to take up Yoga as their career. We have mentioned some below. If you’re an out-going person who likes participating in groups and enjoy physical activity, Yoga is a great choice for professional fulfillment. It allows you to work as a professional trainer or open up your own Yoga center. You can sell your own Yoga courses or make Yoga videos. The choices are endless and hence, you wouldn’t have to confine yourself to a stagnant lifestyle. Yoga teacher training in India enables all this. Yoga brings various positive changes within oneself. It changes the way you look at your life. In yoga, only performing asanas is not important. What more important is to calm your mind and body with the help of yoga. It can be instrumental in resolving the inner conflicts of your mind and body. This could easily be achieved with yoga teacher training in India. It will allow you to explore yoga from all angles and will help you increase your awareness. The heightened awareness will help you see the negative and positive aspects of life clearly, certain behaviors and relationships. This training will also help you to achieve self-control and deal things with composure, which is quite difficult. Yoga teacher training will also help to achieve deep personal satisfaction. As yoga is not only about what you are doing physically. It is the combination of mind, body, and soul. All of this helps you stay in shape and improve your personal health while you teach others to do it. The impacts of Yoga on the mind and body are being explored all over the world. More and more people are opting for Yoga as one of the key health routines. Gym workout is a great way to burn calories but Yoga reaches your soul. This makes Yoga trainers as one of the most sought professionals around the globe. You get enough opportunity to lead a successful Yoga career by obtaining Yoga teacher training in India. One has so many career options after the training. There is an immense demand for yoga trainers, nowadays. Depending upon your preference, you can opt one of the following career options in Yoga. The career prospects for a Yoga teacher are plentiful in India and abroad. You can work as a teacher at a famous Yoga training institute, that offers a well-paid job. You can teach Yoga to aspiring Yoga students as well. There is a lot of content that can be created around Yoga. Such as, instructional videos that can be uploaded to YouTube or sold on DVDs. You can even create a website for Yoga and write about various medical practices associated with Yoga. There is a heavy demand for such content for the same among Yoga enthusiasts. You will learn of key aspects of Yoga during your Yoga teacher training in India. If you have the resources, you can establish your own Yoga Institute or meditation center. People are always looking for alternatives to maintain their health and Yoga is just a great option. A Yoga practice center doesn’t need more than a large room to start with. You can launch initiatives for Yoga enthusiasts by organizing Yoga sessions in universities, schools and your local community. Spreading awareness about this health-promoting practice has a lot of social welfare associated with it. This will help you advance your career as a known Yoga personality in the media. You can also set up a business, dealing in Yoga accessories, organic nutritional supplies and Yoga retreat tours with expert knowledge provided by the training. You can find a lot of options for Yoga Teacher training in India as it emerged from here. If you are serious about your yoga teacher training, then choose India. After the completion of your training, you will receive both the health and career benefits from it. Yoga is one of the most sought after workout regimes and making a career in it is naturally benefitting. You get the freedom to do it in your own way and lead a dynamic lifestyle. You can even create a business out of Yoga, with a little supply of resources at hand. How to plan a Yoga Retreat in India? Of all your exciting vacation plans, a Yoga retreat in India is something that will cleanse your soul with true serenity. Yoga retreats are on a high these days due to several of their benefits. It’s not only about Yoga, it’s about the ethnicity, the healing effects and the rich culture that you get to see in India. It’s quite unlike any other place you will go to! So, if you’re already preparing for a Yoga tour to India, you will need a heads-up on what all things to take care of. 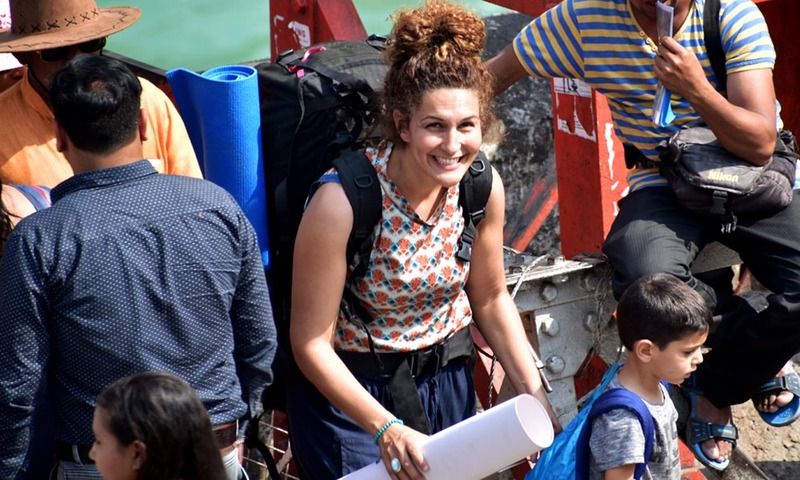 India can be a wild country and therefore, planning everything in advance can be rewarding. First-time goers would have some questions in their minds. Let’s try to address them one by one. Why a Yoga Retreat in India, specifically? India is the place of origin for Yoga. It had been a traditional practice for several centuries in India before it hit the mainstream medical sciences. You can experience its truest form in India which brings out the best effects on your body. Yoga is not only a way to exercise, but a way to heal your body. It has been linked to restoring inner peace and curing depression in adults. When you experience Yoga in the lap of nature and that too in India, the results are soul-fulfilling. Where can you make a booking? Bookings can be made online. There are several online ventures that sell well-designed packages for a beautiful Yoga retreat in India. You get to choose the duration of the stay and extra features such as “only for Vegans” places. You could also choose several pleasure activities to go along with Yoga such as Spa and waterfall bath. Simply search Yoga retreat packages for India at Google and you’d get enough options to choose from. Is there a good season for the visit? India has a variable climate from North to South, which makes season an important factor. 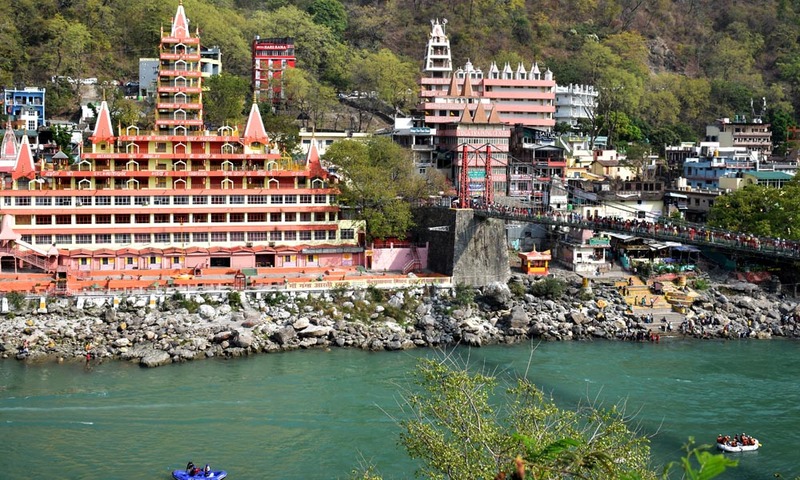 If you’re going for a North Indian location such as Rishikesh, it’s better to go in the months of July and August. These months fall in the summer season, which ensures a pleasant climate for Yoga. If you go to North in winters (November to January), the climate may feel a bit on the rough side. Most of the exotic Yoga locations in North are hilly areas, that make it difficult to enjoy the Yoga retreat in India. Heading South, the climate is moderate around the year. You can plan a trip to Kerala anytime during the year and you won’t repent your decision! What places are the best for a Yoga Retreat in India? Although Yoga is carried out in almost all parts of the country, there are certain places with scenic beauty to choose. These places have the best environment to enjoy your retreat to the fullest. Shillong is a hill station in Meghalaya, the northeastern state of India. It has a number of natural features such as valleys, waterfalls and national parks, that will double the fun of Yoga. Gangtok is located in the Sikkim state of India, which is another mountainous region. It’s marked by Buddhist traditional influence and a great all year weather to enjoy the lap of nature. Mulshi is a little locality in District of Pune in India. The village area is touching the sea and has a water park as well. The place is famous for traditional Yoga centers and retreats. Goa is the tourist capital of India with a number of beaches, hilltops, and Portuguese influences townships. It is particularly famous for attracting foreign tourists in India, for partying and spirituality. Rishikesh hits right in the feels for Yoga enthusiasts. It’s a hilly area built on the banks of the Ganges river, with a number of monasteries and temples. You will not only exclusive Yoga centers but institutes for studying Yoga. Perfect place for your godly Yoga retreat in India. How much would the trip cost? The costs vary according to the number of things you include in the trip. A 7-day package deal including your stay, meals, Yoga sessions, spa sessions, Yoga accessories and medicinal supplies would cost around $450. This is exclusive airfare. Professional Yoga centers are costly whereas the traditional Yoga centers built in temples are much cheaper. Where to apply for Visa and tickets? There are three duration tenures for Indian Visa – 6 months, 5 years and 10 years. You’re allowed to stay a maximum of 6 months per visit and you are free to carry out recreational activities except for business. Know more about your application here. Choice of airlines and tickets is pretty much neutral. You can suit yourself in that department. Dedicating a vacation to a Yoga retreat in India could be one of the most enchanting experiences of your life. Decide on places before visiting and make sure to choose the right season. You will get nearly everything that you ask for at Yoga centers from English instructors to healthy food. Enjoy the cultural contrasts of India as you meet your soul through Yoga. In the post find complete details about yoga teacher training in India. Hatha Yoga, Ashtanga Yoga etc. How to find the best yoga school in India you can also solve these queries here. India is the place of Rishis and Sages of the time past, and birthplace of yoga. From India, the light of yoga is spread all over the world by this world celebrated International yoga day. In Ancient time Yoga is a part of daily routine. People gain the knowledge of Purna. However, it would not be wrong to state that India still maintains its legacy of being the pioneer of Yogic practices. India being the place of origin of Yoga and related practices continue to be a hub of the Yogic culture in the world. As wide as the expanse of its impact on potential Yoga learners is, the scope of the teaching of Yoga is also catching up a great deal in India. With the upswell in the number of Yoga teachers in India, there are an exuberant number of schools itself that cater to the need of Yoga Teacher Training India. People gain the knowledge of Purana, Upanishads by Rishis along with Yoga in Ashram or Gurukul. These Indian Rishis revealed the knowledge of yoga. It was promulgated by sages such as Maharishi Patanjali, Guru Matsyendranath, and Guru Gorakhnath. But Shri Tirumalai Krishnamacharya known as the father of modern yoga and then term come Yoga Teacher Training in India. Shri Tirumalai Krishnamacharya is accepted to have grown a large portion of the imperative styles of Yoga practised in the twentieth century. And is particularly accepted to have developed the Vinyasa style. His legacy has given the world such fine instructors as BKS Iyengar, K Pattabhi Jois, BNS Iyengar and TKV Desikachar. Whether you practice the dynamic series of Pattabhi Jois, the refined alignments of B.K.S. Iyengar, the classical postures of Indra Devi, or the customised vinyasa of Viniyoga, your practice stems from one source: a five-foot, two-inch Brahmin born more than one hundred years ago in a small South Indian village. For the practice of yoga, a professionally trained yoga teacher is needed. A trained yoga teacher gives the proper and accurate knowledge. So learners should practice yoga activities in under the expert or trained teacher. India addresses the concern of teaching Yoga in its duality- the body element and the mind element simultaneously. Since both are equally important facades, an individual looking forward to learning to teach Yoga gets to dive deep into the holistic Yoga vibe in India. 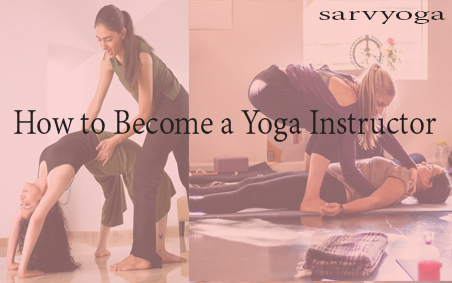 It gives the potential teachers the wide array of chances to stage their Yogic talent and put it to use for benefiting the people in India itself. Further, what gives India the essential edge over various other countries with respect to teachers’ training is the fact that there is an abundance of teacher’s training schools to pick from. The courses designed are very flexible and pocket-friendly. Furthermore, the idea of Yoga Teachers’ Training is not new to India as it has been around for almost half a century in the country. Even today, some of the most experienced hands and minds at Yoga in the world are available here to disseminate this knowledge to India and the world. The yoga teachers trainers in India take Yoga to a more meaningful level by imparting their experiences that have seasoned them over decades. Being associated with training teachers for a long span of time, the future teachers of Yoga to the world can bank upon this opportunity to get a flavor of what the ACTUAL, ORIGINAL Yoga is all about. There can be no better place to learn these skills than India itself. Learning an art is always preferred to be done at its place of origin. For India, Yoga is that Art that it will always take pride in for having its roots here and nurturing the skill with its perfect knowledge for centuries. Despite the fact that Yoga instructors and projects can be discovered everywhere throughout the world. 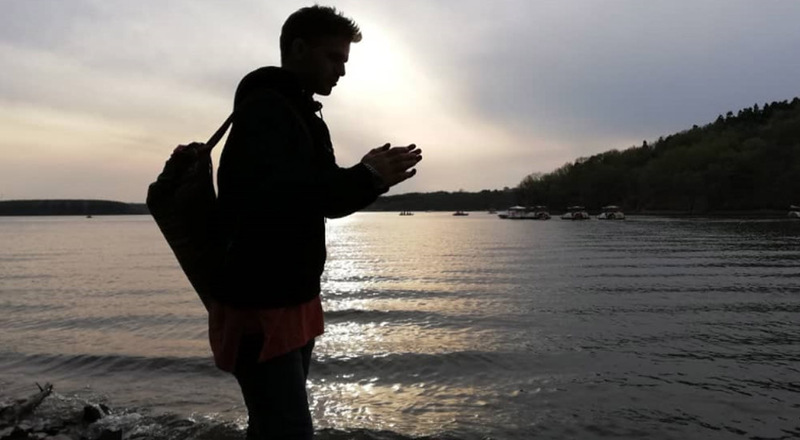 India is the best place for yoga teacher training and yoga educator preparing, Rishikesh and Mysore are the two fundamental focuses of Yoga on the sub-landmass. Most genuine understudies of Yoga more often than not make journeys to these focuses of learning. Here we will the best yoga teacher training schools in India and Registered Yoga teacher training school in India with Yoga Alliance, the biggest registry of yoga educators and schools on the planet. On account of the ones that are not, they are generally perceived by the Government of India, in which case Yoga Alliance will more often than not granddad you in the event that you need to wind up an affirmed Yoga Alliance educator. An educator’s system isn’t exactly a spot for investigation. The minute you venture on the mat, it’s to take in the groupings you’ll be instructing. Your day is packed with learning otherworldly messages, life structures, droning, sitting in contemplation and doing practicums. An educator confirmation program doesn’t permit many opportunities outside its curriculum there are times, it doesn’t permit you to appreciate yoga! These are the list of top and old yoga teacher training school in India. Although there are a lot of other yoga schools in India where the availability of admission is good and you can easily take admission in these schools. Note- The list of these teacher training school is taken from Google and other sources. Interested in Yoga Teacher Training in INDIA? The origin of Yoga is estimated to date back to 400 BC when Patanjali composed a collection of aphorisms on Yoga practice called “YOGA SUTRA”. Maharishi Patanjali was the Father of Ancient Yoga. Hatha yoga is a branch of Yoga that involves physical exercises and postures that are proven to maintain a healthy body coupled with a healthy mind. Needless to say, Hatha Yoga or just “Yoga” finds its roots in ancient India. For a lot of centuries the importance or even existence of Yoga remained in obscurity. It was in 1890 when Swami Vivekananda exposed the World to the boons associated with the practice of Yoga. Thus, that marked the onset of Yoga becoming a popular therapy of alternative medicine worldwide. There was an upsurge of different schools of Yoga coming up across the entire 20th century not just in India, but its impact enveloped the whole world. However, it would not be wrong to state that India still maintains its legacy of being the pioneer of Yogic practices. India being the place of origin of Yoga and related practices continues to be a hub of the Yogic culture in the world. As wide as the expanse of its impact on potential Yoga learners is, the scope of teaching of Yoga is also catching up a great deal in India. With the ups well in the number of Yoga teachers in India, there are an exuberant number of schools in India itself that cater to the need of Yoga Teachers’ Training. Even today, some of the most experienced hands and minds at Yoga in the world are available here to disseminate this knowledge to India and the world. The teachers’ trainers in India take Yoga to a more meaningful level by imparting their experiences that have seasoned them over decades. Being associated with training teachers for a long span of time, the future teachers of Yoga to the world can bank upon this opportunity to get a flavor of what the ACTUAL, ORIGINAL Yoga is all about. There can be no better place to learn these skills than India itself. Becoming a Yoga instructor is involving yourself in a profession that is also one’s passion. Yoga regimes encompass a lot of dedication and effort to the practice. It is a pre-requisite to know that a deep-rooted interest is necessary to become an instructor. Mental preparation is key to everything that is a fresh start. In order to become a full-time instructor, we require knowledge and preparation in various arenas. It goes without saying, that to teach something, we need to thoroughly learn it first. First of all, you must brush up your concepts of Yoga as taught by a teacher. Additionally, a regular physical practice of Yoga tunes your body into being fully flexible. All those who go ahead with instructing, first master what is taught to them as basics. At the student stage, there is not much to learn about Yoga theory but we must know about its basic theories and ideologies. Everyone finds it hard to decide upon a career choice or profession. Similarly, before becoming a Yoga instructor, we must go through an introspection to check if it is really in you to go for it. Considering different aspects such as proficiency, earning opportunities and your interest is imperative to this. There is no doubt about the fact that as a profession, Yoga instructing has a wide scope of opportunities. However, dedication and interest come from within. You must thoroughly ascertain by yourself whether you want to practice this for personal benefit or to earn your living. One must draw a clear line between Yoga for recreation and Yoga as a bread-earner. As a Yoga instructor, we have to deal with a lot of people. If a person is seriously considering a career in Yoga instructing, they must be comfortable with a dozen of people around. While it is not a crime to be an introvert as an instructor, it is more than good to have a welcoming nature. Yoga instructing happens both in groups and individually. A person needs to be good at connecting with all age groups as well. Communication is key to building lasting relations and so holds for a Yoga instructor too. It is always appreciable if an instructor has good interpersonal skills. This stage comes once a person is done with mentally preparing themselves and developing their skills. There are a variety of courses to choose from, depending upon your present skill level and time at hand. We have a concise guide to help you choose the most suited Yoga Teacher Training program illustrated in another post. How to choose a Yoga Teacher Training Program? A YTT gives a formal certification that enables you to begin practicing right away. It is a very holistic approach to learning Yoga for the instructing purposes. While the YTT is a complete training in itself, one must gain some experience before fully entering into the field. A potential Yoga instructor must train under an already established Yoga Instructor to gain better insights in the teaching arena. This experience helps one to be more descriptive and student-friendly. A person should also recollect their Yoga student phase and think about all the ways that you wished your instructor could be any better. All these bits contribute largely into becoming a successful full-time Yoga instructor. The concept of Yoga Teacher Training is not new to the modern Yogic practices. It is the process of transcending from a yoga practitioner to a professional trainer. A lot of people believe that Yoga is just about physical exercises. More than just that, it has a mental and spiritual side to it too. First of all, learning the theories behind the practice. Mastering the Asanas to the level of a potential trainer. Finding one’s inner self by Meditation. Finally, developing the skill to heal oneself and others by Yogic regimes. YTT is also something that enables a Yogi to turn their passion into the profession. That feat can be achieved once a person polishes their current skill to a higher level. One also gets to acquire knowledge of the ideal Yoga-oriented nutrition. Furthermore, YTT prepares you to opt for the right food choices coupled with a Yogic lifestyle for better functioning of your system. All YTT Schools give sufficient training on all the above niches to develop a practitioner into a teacher. Most of the accessible sources only enumerate how Yoga makes you physically better but it is imperative to note the holistic changes it brings to one’s life. It is a higher level of learning Yoga where one can achieve abilities like better mental awareness. Yoga Teacher Training helps an individual to attain a state where the body responds better to its surroundings and a clear line of thought. Yoga in general helps to strike a balance between the mind, body, and soul. The level to which we develop this balance while on the YTT program helps to propagate and teach an art as ethereal as Yoga. It puts one in an advanced position to not just go deeper into the learning process but also to teach. Ultimately, that is the actual purpose of this whole training program. The difference between being a Yoga student and a Yoga teacher lies in the level of experience and training acquired. An existing Yoga teacher has gained experience of Yoga over a period of time and as a student. While a student only learns the Asanas and Dhyana (meditation) mainly, a trained teacher learns and understands all the 8 disciplines of Yoga. YTT prepares you with the understanding of the 8 limbs of Yoga as a way of life. A person trained at YTT attains the right amount of diligence, ethics, and many self-progressing techniques. Most importantly, the YTT programs help to season those skills and experience in a sequenced manner. It is altogether a different experience where at the end of 1 or 2 or 3 or 6 months you are vigorously trained so much that you’re expedient to train the students. This process is an overall transformation of an individual imparting a toned body, a balanced mind, and a relaxed soul. Yoga Teacher Training embarks the beginning of a new phase of life. It is the preparation of moving from a Yoga practitioner to a trainer. Like any other new chapter of life such as college, new job or learning a skill, this is thrilling too. Some of you also know that it is something you’ve never done before. So, you’ve to prepare accordingly to ensure that your Yoga Teacher Training is a success. 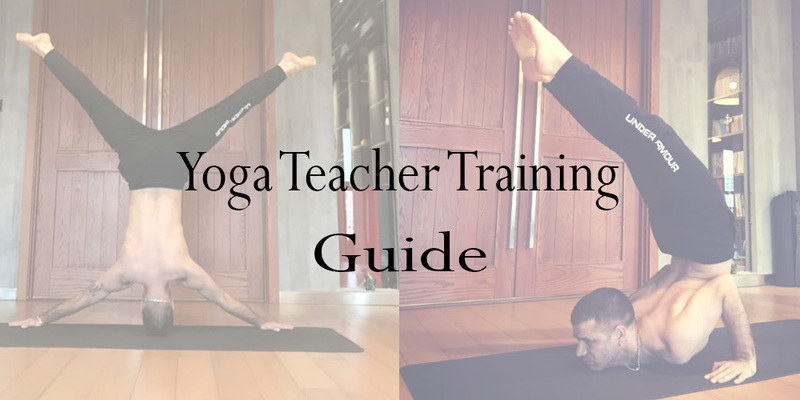 We bring you a summarized guide to prepare for Yoga Teacher’s Training! It is very likely that you travel to a new city for the YTT and be an in-house student. Find out from the organization and on your own more about the city. This could include – the climate, facilities, culture and people of the city. Also, you need to know about the School hosting you. Find out their rules and norms, restrictions, facilities and what all you’re specifically asked to carry along. Get to know their courseware through brochures provided. During the Yoga Teacher Training, you are sure to undergo a thorough physical and mental transformation. Not only your body, but the mind is also trained in this process. It is necessary to have good flexibility by starting to do basic Asanas few weeks before the YTT. This will ensure that you have no injuries while on the intense training course. Mentally, you must prepare yourself to adapt to the norms of the School and some long, strenuous hours of training. Your body requires proper conditioning before starting the Yoga Teacher Training. Book an appointment with your doctor and confirm about your fitness for the YTT. It is a must to undergo medical tests so that later, your Yoga Teacher Training is not disrupted because of illnesses. You may have to scoop out up to INR 30,000/- for the YTT fee, depending upon your course type. Most of the time, this fee is all-inclusive of accommodation, meals, facilities and experiences within the school. However, at some points, you may have to spend a little extra than mentioned, while on the course. These expenses vary per school. This is also something you should include in your spade work in #(1) above. Arrange to pay your routine bills back home beforehand or while on the Yoga Teacher Training to avoid any last-minute hassle. You may not need to carry a lot of cash to the school because most cities are densely equipped with ATM booths. Make a checklist for what all you need to pack along. This will prevent you from packing unnecessary items and you’ll add only what is needed. Firstly, you will not need more than 3-4 pairs of Yoga costumes such as pants and t-shirts or whatever the school allows you. Remember to carry simple, comfortable clothing because physical exercises require comfortable clothes that don’t make you awkward. You would also need shoes, slippers as easy footwear. Do not forget to pack in routine medicines, if any, anti-allergics, pain-killers. Carry any book/gadget/game that refreshes you in your daily life. Any other utility items shall vary person-to-person. Finally, It is good to know that you are going for training and not as perfect students. It is all right if you fail to do a 100% preparation because an individual learns by experience. And learning by experience is far more valuable than pre-defined learning.